This week's fraud charges against two popular dietary supplement makers may have many people eyeballing the bottles and boxes of supplements on their kitchen counters, wondering if the vitamins, protein powders, and herbs they pop every day are safe. Nutrition experts and federal agencies told CBS News that there are ways to reduce your chances of taking questionable or unsafe "health" products, which may come in pill, powder or other oral formulations. But some say there's no safe supplement until tighter regulations are in place. FDA spokesperson Lyndsay Meyer said it's a common misconception that dietary supplements are not regulated in the United States. They are - but they don't go through the same safety and effectiveness testing as prescription drugs. "Most definitely supplements are regulated by the agency, but not in the same way traditional prescription drugs are regulated. We don't have premarket approval on supplements. We have post-market oversight on supplements. That means the FDA has to monitor the marketplace after a product has been on the market. If we find it's problematic and there's a safety risk associated with it, then we take action," said Meyer. Dietary supplements are a $40 billion industry worldwide, said Cynthia Schnedar, director of the FDA's Office of Compliance. "Dietary supplements are one of most challenging areas we regulate and encompass a vast amount of products, manufacturers, and supply chains," Schnedar told CBS News. When it comes to what percentage of supplements are of concern, she said, "It's difficult for us to assess the magnitude of the problem." But one of the biggest issues the FDA runs up against is tainted products that are falsely marketed as dietary supplements, said Meyer. "The FDA sees them quite regularly," she said. They're most common in weight loss supplements, products that promise to boost sexual performance, and bodybuilding products, Meyer said. "They're being marketed as dietary supplements, but actually they contain dangerous ingredients," she said. The manufacturers of workout and weight-loss supplements Jack3d and OxyElite Pro were named in a federal crackdown Tuesday. 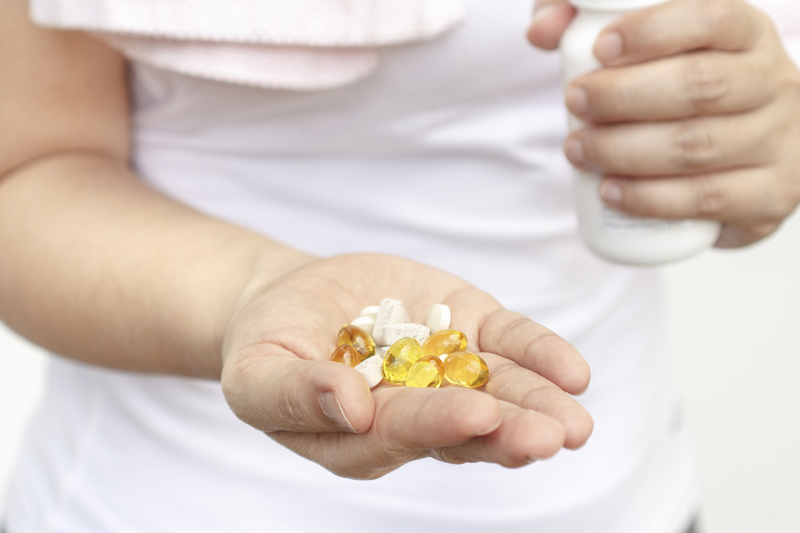 So what can consumers do to avoid tainted supplements? Unfortunately there is no cut and dry answer or specific recommendations, Meyer said. But she offered some guidelines, including being judicious about supplements sold online. Consumers should keep an eye out for products that make unrealistic, too-good-to-be-true claims, said Schnedar, such as "Lose 30 pounds in 30 days." And watch out for products that offer immediate results or make promises such as "Works in a matter of minutes." Schnedar also said to avoid a product that compares itself to prescription drugs or when the product has directions for use that mimic the directions for a real drug. Talk to your doctor before you - or, if you're a parent, your teen - choose to start taking a supplement, said Meyer. "Consumers should do their due diligence and speak to their health care providers and talk about what they want to take," said Meyer. But even doctors and other health care providers may not be well-versed in supplements, said Elisabetta Politi, nutrition director of the Duke Diet and Fitness Center at Duke University. Politi, who teaches a class on supplements at Duke, said, "The nutritional supplement field is not one that a lot of health professionals are formally educated in." She explained, "My experience is that many, many times doctors don't have a clue about supplements. If you look at the medical curriculum, it doesn't include nutritional supplement education." Dietitians don't learn about supplements in training either, although, she said integrative medicine experts may receive some training. One way to tell if a supplement has been vetted for safety and quality is to look for the U.S. Pharmacopeial Convention (USP) label on the packaging. USP is a scientific nonprofit organization that sets standards for the quality and purity of medicines, food ingredients, and dietary supplements manufactured, distributed, and consumed worldwide, according to the organization. Politi told CBS News that there is no scientific evidence that people need dietary supplementation, with the exception of vitamin D and calcium. "Studies seem to consistently suggest it's better to get vitamins and minerals from a food source and not a pill," she said. One concern with multivitamins, independent of whether the product is pure or not, is that now so many products in the food supply are already fortified -- cereal, prepared oatmeal, nutrition bars. "There are concerns of overdosing in people who taking multivitamin supplements. I've seen reports of that, especially with children eating a lot of cereals," Politi said. Politi said consumers can check the FDA website for product warnings as well as The Office of Dietary Supplements (ODS) at the National Institutes of Health (NIH) for additional information on supplement safety. Still, others say no supplements can be considered safe without stricter regulations in place. "No supplements are prescreened for efficacy and safety by the government," said Bryn Austin, a professor in the department of Social and Behavioral Sciences at Harvard T.H. Chan School of Public Health. "The FDA is reactive. Because of the way Congress ties their hands, they have to wait until there's serious harm -- deaths, injury, liver damage, transplants. Most consumers don't realize their lives are on the line before the government steps in." Austin told CBS News that while vitamins, minerals, and botanicals are all classified as dietary supplements, botanicals are the most worrisome. "We've seen the most unethical behavior by the botanical manufacturers. Their products have been found to contain heavy metals, pesticides, and or such high concentrations of ingredients that may be legal but at high doses are toxic. Like green tea extract, which is wholly different from green tea, which people associate with being healthy," Austin said. Without tighter regulations and testing procedures in place, like those used for the prescription drug industry, she said manufacturers and retailers, local grocery stores, and pharmacies, "are playing Russian roulette with consumers." "A 12-year-old can walk in a pharmacy and buy armfuls of these products that we know are dangerous," Austin said.